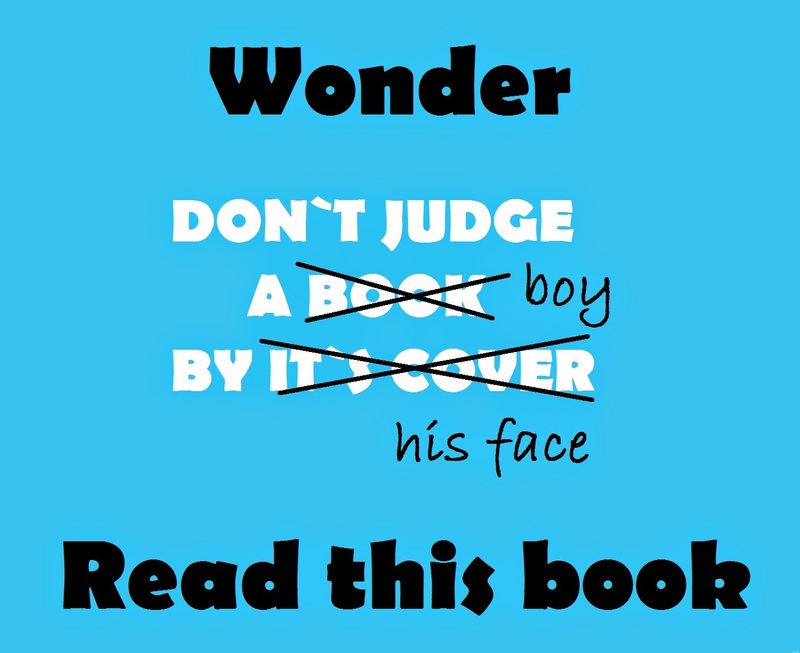 Home / Mixed Bag / WONDER by R J Palacio ! 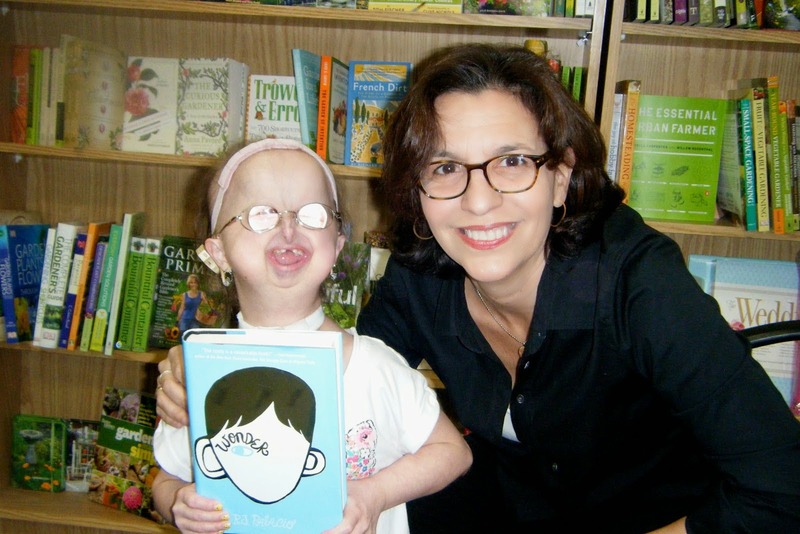 WONDER by R J Palacio ! I read books but not as many as my new friend Mamtha Uthaiah. I have met her few days back, and I am amazed by her beauty, intelligence and by her real strong opinions. Mamtha is an avid reader and so I asked her about the last book she read. Once she started talking about it, I felt curious to know more. I am a kind of a lousy reader so I might not read as many as books that I want to but I would definitely love to know about the experience of a reader. So I thought why not share her wise insights with all my wonderful friends. August pullman, a 10 year old boy is just like you and me. He sees what you see, hears what you hear and just like a blessed few, he is very funny too. But the moment older people look at him they avert their eyes in a split second and little kids get scared and start screaming or saying something nasty. Oh! did i tell you that he has a facial deformity due to some chromosomal disorder? By the age of 10 he has already undergone several surgeries which most of us wouldn't undergo in 10 lives put together. All these surgeries kept him away from school and he was homeschooled by his mom till now. Remember you first day in kindergarten? was it scary? That should be ok because all the other kids were as terrified as you. Now, imagine going to school for the first time in your life for a middle grade where you are being judged just for your appearance? where nobody can think beyond how you look? where your peers think touching you would spread some kind of plague? Auggie Pullman thinks "I wish everyday could be halloween. We could all wear masks all the time. Then we could walk around and get to know each other before we get to see what we looked like under the masks"
Well, now i think you have a fair idea about august pullman's life and his thoughts. What follows after few days of being bullied by his classmates is a beautiful, funny, heart-breaking tale of this amazing kid. This book is told primarily from Auggie's perspective but it has 5 more voices. His elder sister Olivia, her boyfriend Justin, her friend Miranda and two of Auggie's friends Jack and Summer tell us their views about Auggie. I liked Olivia's perspective the most. She is a caring and protective elder sister. She perfectly understands her little brother needs all the attention from her parents. I felt sad reading her thoughts. she has lived all her life in Auggie's shadow and fends for herself when he is the centre of attraction of their parents. We get to read a tale like this very few times in our lifetime. this is a short middle grade book so the language used is very simple but it is nowhere a light hearted read. Author doesn't waste even a single page writing anything unnecessary. If you are someone who gets affected positively by what you read, you will be a little more kinder and a better person by the end of this book. When there is so much hatred and so many bad things happening around the world, this book would make you feel good about the world. If you are surprised by the cruelty of this world, you will also be surprised by the kindness it has to offer. "There are always going to be jerks in this world Auggie" She said, looking at me. "But really believe, and Daddy really believes, that there are more good people on this earth than bad people, and good people watch out for each other and take care of each other"
I would recommend this book to anybody age 10 and above. this may not be the best novel you would ever read but it ​is intriguing and offers a good message. it talks about courage, friendship,kindness and character. In fact, I want everybody i know to read this book to know how beautiful it is. Yupp thats true :) Thanks Vidhya for stopping by ! Its said that 'Books are one's best friend'. When you are lonely and there is none to look at then its the books which will be your companion no matter what and where you are. Yup Sonia, good to see you after a long time !